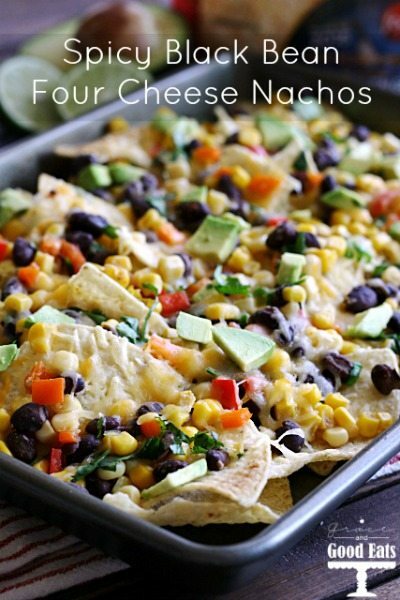 These Spicy Black Bean Four Cheese Nachos are perfect for a crowd or a weeknight dinner! I think a lot of us struggle with the age old question of “what’s for dinner?” I know I do every Sunday when I try to sit down and write out our meal plan week. The only thing that’s harder for me than planning out what’s for dinner is remembering to plan things for lunch! The kiddos were home for Spring Break and we made it about a day before I realized I didn’t plan anything for us to eat during the week for lunch. I’m terrible about just grabbing something quick instead of putting effort into making a “real” lunch when it’s just me at home to cook for. Usually on the weekends it’s leftovers or pantry surprise- trying to use up random ingredients, etc. I took the girls with me to Kroger and set out on a mission to make lunch more of a priority. We stocked up on some pantry staples- fruits, yogurt, and cheese. I found the new Sargento® Fine Cut Shredded 4 Cheese Mexican blend and grabbed a few packages to keep on hand. The off-the-block freshness makes it perfect to top soups, baked potatoes, and chili. 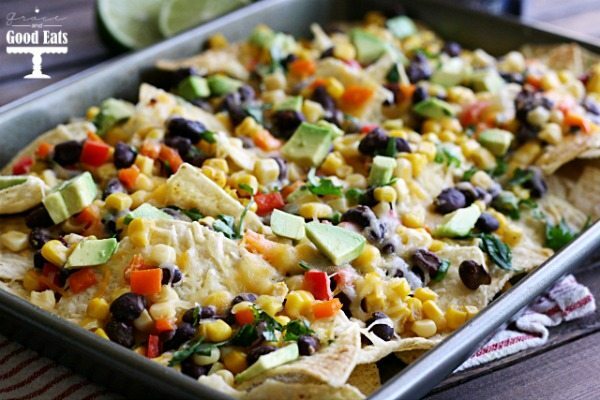 I knew they would also be awesome for nachos and add a creamy, smooth flavor to any Mexican style dish. 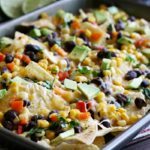 Neither of my kids are big meat eaters, so I loaded these Spicy Black Bean Four Cheese Nachos with protein and good fat from beans and avocados. My oldest ate half the pan before I could even upload these pictures to my computer! These will definitely get added to our newly made lunchtime rotation. So easy to throw together and so full of flavor. 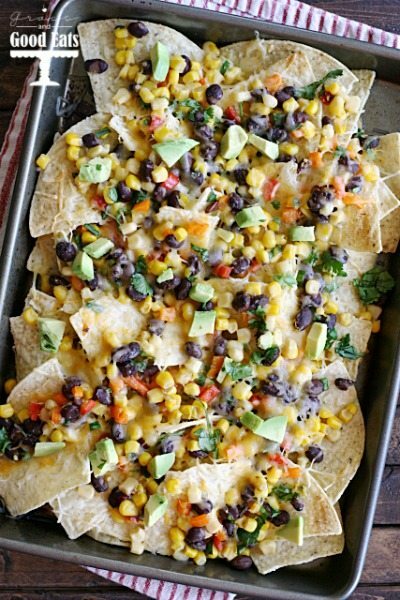 Fill a baking sheet with a single layer of tortilla chips. Combine corn, beans, bell pepper, green onions, cilantro, and lime juice in a medium bowl. Spoon the combined ingredients over the tortilla chips. Top with shredded cheese and place under the broiler for 5-10 minutes, just until the cheese is bubbly. Remove from heat and top with avocado. These were so good for lunch!